I met Coach Kameel after conducting an Internet search for Florida bike fitters. I can say that Iâ€™m happy to have met him. Coach Kameel was great from the first email contact up to my final fitting on the bike. Prior to meeting Coach Kameel I was in the midst of a training program for a very challenging road cycling event in the mountains of North Carolina. After 8 months of training I was getting frustrated on the bike with some nagging body aches and my power level output. I had minor aches and pains and in my knees, shoulders, lower back, and glutes. Additionally, even though I could tell my fitness level was increasing, I did not feel like I was getting the most out of the bike based on power meter file comparisons over the last 8 months. My â€œfirstâ€ fit with Coach Kameel was interesting. Coach Kameel performed the initial measurements and computer analysis and told me what needed to be done. Unfortunately, we ran into a slight problem with the bike. The first thing that had to be done was to raise the seat. Over the many years I had this bike the seat post somehow managed to weld itself to the carbon frame. Try as we did, we could not get the seat post to budge so we could raise the seat. I was rather embarrassed but Coach Kameel told me not to worry about it. â€œNo chargeâ€. â€œWe can try again another timeâ€. I knew right then that Coach Kameel was somebody special. A few weeks later I returned with a new bike. Coach Kameel performed the fit again. Needless to say we could got everything dialed in properly the second time. No stuck seat post! After the fit I took the bike out on the hills of Clermont to give it a good test ride with my new position on the bike. The correct fit made all the difference in the world. I rode 50 miles with no pains in my knees, back, or shoulders. I also checked the power meter files with this ride against what I had done just one month earlier. I was able to climb much faster and with much more power output. I was impressed. Iâ€™ve been on many rides since then and Iâ€™m happy to say everything is still great. I highly recommend Coach Kameel for getting your setup/fit on the bike. 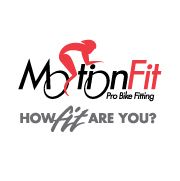 He uses his expertise and modern fitting equipment to ensure the best possible bike fit for his athletes. I now feel comfortable on the bike and actually look forward to my training. Get a fit from Coach Kameel!